It may or may not ultimately make a difference, but a new law that goes into effect on September 1 is about insurance claims and lawsuits. For many Texans ravaged by the rain and winds Hurricane Harvey carried ashore this past weekend, filing an insurance claim for the damage their property sustained is probably the farthest thing from their minds right now. But waiting to submit a claim past Friday could cost them big. A new law set to take effect Friday aims to crack down on frivolous insurance lawsuits. But House Bill 1774 also reduces the penalty interest rate insurance companies face for late payments if the policyholder files a lawsuit. If insurance companies are late in paying claims as a result of a lawsuit, they must pay an additional penalty to policyholders. Under current state law, that penalty comes in the form of a fee that totals 18 percent of the claim. For claims filed after Friday, that rate will be determined by a market-based formula that is capped at 20 percent. Currently, the rate would be 10 percent. While people filing claims by Friday would benefit from the higher penalty payouts in lawsuits, those same cases would be subject to provisions in the new law. Those provisions would decrease the chances insurance companies will have to pay the plaintiff’s attorneys fees in full and protect agents from being personally sued. Jeff Raizner, a member of the Texas Trial Lawyers Association, which opposed HB 1774, said the law is a mixed bag. “I want to be completely fair, there were some bad actors,” said Raizner, a Houston trial lawyer who has worked on insurance cases for 25 years. He added that some of what the new law requires addresses that problem – like the strengthened rules on communications regarding claims issues and the structure for paying attorneys’ fees. But he calls the penalty changes an overreach. “Much of this new law is a money grab by the insurance industry,” Raizner said. “The intent of the bill was to cut off this ‘cottage industry’ that was happening around hailstorms after Hurricane Ike; lawsuits that didn’t need to be filed,” said Lucy Nashed, a spokesman for Texans for Lawsuit Reform. TLR supported the bill and argues that because the bulk of Harvey insurance claims will be flood-related, nothing will change. First and foremost, HB 1774 does not change the insurance claims process. A person making a claim with her insurance company after September 1, 2017 will go through the same process as a person making a claim before September 1, 2017. The new law applies to a lawsuit that is filed against an insurance company by a policyholder when the policyholder’s insurance claim is not timely paid or is underpaid, or when the insurance company acts in bad faith in dealing with the policyholder’s claim. Lawsuits are the exception, not the rule. The vast majority of Texans will go through the regular insurance claims process without needing to file a lawsuit. Even under HB 1774, Texans continue to have the strongest consumer protections in the nation against insurance companies. This includes the full recovery of amounts owed under an insurance policy, plus penalty interest, court costs, and attorney fees. Additionally, if the insurance company acts fraudulently or in bad faith, Texans may recover triple the amount of their actual damages, which is unchanged by the new statute. The only advantage to filing a claim before Sept 1 is that IF the insurance is slow to pay or underplays, their penalty interest will be a floating rate between 10-20%, rather than a stagnant rate of 18%. Lawyers may worry about that change in rate, but you shouldn’t. It doesn’t impact your coverage. The primary purpose of the new statute is to require written notice of a dispute before a lawsuit is filed (so that the insurance company can adequately address the claim before a lawsuit is even needed). If a lawsuit is filed, it would happen months or years after the initial claim was made with the insurance company. Nothing in the new law passed by the Legislature earlier this year requires that the initial insurance claim be made in writing or by a specific date. For what it’s worth, the new law will not apply to most claims or lawsuits arising from Harvey, as I understand it, because most of the policyholders’ claims will be for damage caused by flooding. These claims will be made under the federal flood insurance program and governed by federal law. The new law will not apply to lawsuits pursued against the Texas Windstorm Insurance Association (TWIA), which is subject to an entirely different statute governing post-disaster lawsuits. TWIA provides insurance for many people affected by Harvey directly on the coast. I guess I would say that if you do have a claim to file, and you can do it by Thursday, go ahead and do it then. It probably won’t matter, but it probably won’t hurt. 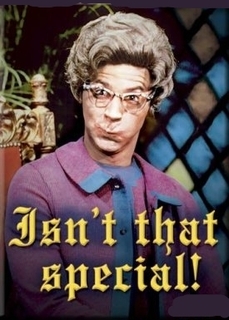 RG Ratcliffe and Mother Jones have more. If this pans out we can definitely put a final wrap on the legislative season. Two key state House and Senate negotiators said today that they have reached an agreement on a bill to govern the Texas Windstorm Insurance Association. Rep. John Smithee, R-Amarillo, said today that he and his Senate counterpart, Sen. John Carona, R-Dallas, have compromised on the highly political bill. Now, they have to sell the bill to each chamber. Carona said today that he was “optimistic” that the Senate could pass a measure. According to the Trib, both chambers will vote on the conference committee reports today. I’m sure I speak for many people when I say I hope they get a reasonable bill passed so they can all get the hell out of town. How much time will the Lege waste this week on a stunt? House Speaker Joe Straus got a little frustrated on Friday. Texas House Speaker Joe Straus unleashed a rare verbal assault Friday on an effort to criminalize invasive searches at airports, assailing legislation supported by Gov. Rick Perry, Lt. Gov. David Dewhurst and most of the House. As Speaker, of course, he’s in a rare position to do something about this beyond having a tantrum. The special session expires at midnight tomorrow, and there’s still a lot of bills that need to be passed in order to stave off the need for yet another special session. Perhaps if he and Lt. Gov. Dewhurst would agree to lock all of the legislators involved in negotiating a windstorm insurance bill in an un-air conditioned room, safely away from the influence of those dreaded “special interests”, and not let them out till they agreed on something. The more time spent on the “anti-groping” bill and its close relative the “sanctuary cities” bill, the more likely that we’ll be going into double overtime on Wednesday. Reform of the Texas Windstorm Insurance Agency was the original reason for this special session. It may yet be the reason for the next special session. Like ringing the bell at the boxing ring, the Senate today approved a bill that is all but certain to restart a brawl with the House over how to reform the state’s windstorm insurer of last resort. “I intend to fight for this tougher than I’ve ever fought for anything,” said state Sen. John Carona, R-Dallas, chairman of the Senate Business and Commerce Committee. The Senate’s version of HB3, a bill meant to reform TWIA, is radically different from the one the lower chamber approved, and is not favored by Gov. Rick Perry. The approval today sets up a fight very similar to the one that scuttled the bill during the regular legislative session and prompted Perry to threaten a special session. It is the major reason lawmakers are in the current session. Carona said he was prepared for “one hell of a fight,” and that he is ready to stand up for the Senate’s version of the TWIA bill, even if that means returning to the Capitol for another special lawmaking session. “My summer plans are flexible,” he said. So if we do wind up going into a second special session because the Republican supermajority still can’t get its act together on this legislation, can we at least agree that Wendy Davis bears no responsibility for what happened during the first one? As I said before, we were always going to have a special session; the only variable was what was left to be added to the call. At this rate, the Rs may go through their entire roster of bills that didn’t get passed the first time around. As long as they have the excuse that they didn’t finish up something that needed to get done, why not? Ready or not, here they come back. And with the start of the special session comes a little surprise. Gov. Rick Perry and legislative leaders hope to move through a series of bills quickly during the special session that begins tomorrow, starting with the fiscal issues that forced the session and continuing on through other controversial legislation, including congressional redistricting, reforms to the state’s windstorm insurance program, and legislation loosening state mandates on public education, sources said Monday. The governor has talked to legislative leaders about including several items in the special session, but not all at once. Instead, they’re talking about trying to pass legislation in series, moving quickly and adding items to the call as each item wins passage, according to sources. Congressional maps “are ready to go tomorrow morning, if [Perry] wants them” said state Sen. Kel Seliger, R-Amarillo. He wouldn’t discuss the specifics of the maps, but said that he and his redistricting counterpart in the House, Rep. Burt Solomons, R-Carrollton, would start with identical maps. If they have “identical” maps ready to go now, it makes you wonder how it is they didn’t have them a week ago, when overtime would not have been needed. The least surprising part of this is that the maps in question would be sprung on everyone without any advanced notice. If the Republicans could pass a map without any input from the public, they would. We’ll see what they have in mind. As for the rest of the potential issues that may be added to the call, I would just point out that despite what some Republicans may want you to believe, whatever is on the agenda is up to Rick Perry. That’s true with the failure of SB1811, and it was true with windstorm insurance. Perry does whatever it is he wants to do, he doesn’t need to be goaded into anything. The Governor made “sanctuary cities” an emergency item. If it was that important to him, it was always within his power to force the issue. As for claims that the Republicans might somehow make school finance worse as payback, they’ll have to vote for whatever they produce, too. As Nate Blakeslee pointed out, several of them in the House voted against SB1811 the first time, enough to make its passage not a slam dunk. I suppose they could cut funding further, but it’s a little hard for me to believe that the Senate, which pushed so hard for more funding for schools, to the point of conjuring up all kinds of budgetary alchemy to make it look like there were more funds available than the House was otherwise willing to use, would throw that all away in a fit of pique. I guess we’ll find out. I should note that the Democrats will try to play a little offense during the overtime period as well. Mild-mannered Texas House member Elliott Naishtat, the VISTA worker from Queens who came to the Lone Star State and stayed, has a message for U.S. House Budget Committee Chairman Paul Ryan, the Ayn Rand disciple who is steeling congressional Republicans’ spines for the hard job of taming the welfare state: We will bury you. Naishtat, D-Austin (at right in May 11 AP photo), put state Republicans on notice Monday that he and other Texas Democrats soon will try to link the Legislature’s recent work on an interstate health care compact to a Medicare overhaul the U.S. House recently endorsed at the urging of Ryan, R-Wisc. “Voters pay attention when you mess with their health care,” Naishtat said. “Last week, we all watched voters in a very conservative district in New York, my home state, elected a Democrat to the U.S. Congress.” Naishtat referred to Democrat Kathy Hochul’s special election upset victory in a U.S. House district, stretching from Buffalo to Rochester, that has been in Republican hands for four decades. Will that resonate, or will it just distract from the message about what’s going on with school finance? I have no idea, but for sure there’s no lack of material. Dems will need to run with all of it between now and next November. How well they make their case will be what it’s all about. A letter from Lt. Gov. Dewhurst to Rick Perry about the special session is here, and you can see the official call here. I’ve mentioned the prospect of a special session several times lately. One of the issues that could be the cause of a special session is windstorm insurance, as the Texas Windstorm Insurance Association took it on the chin last year thanks to Hurricane Ike. Governor Perry even came to the floor of the House yesterday to threaten that he’d call a special session for June 2, the day after sine die, if a bill didn’t get passed. Apparently, that was enough to make something happen. Windstorm insurance reform legislation suddenly got voted out of a House committee Wednesday after Gov. Rick Perry threatened to call a special session on June 2 if the bill does not pass. Both inland and coastal lawmakers expressed concerns about the bill they voted on, but said they needed to get something to a House/Senate conference committee if there is any hope of reaching a compromise to avoid a special session. Rep. Trey Martinez Fischer, D-San Antonio, complained that he was being forced to vote on a 51-page bill that he had not read. He said the House has had the entire session to work on a compromise and now was being presented a “false choice” of voting on an unseen bill or having it die in the Legislature’s closing crunch. “The House is on fire! Let’s vote it out,” Martinez Fischer said. “I don’t care what you do. If you want to vote it down, vote it down,” replied House Insurance Committee Chairman John Smithee, R-Amarillo. Rep. Senfronia Thompson, D-Houston, joined Martinez Fischer in voting against the bill, also complaining that she had not had a chance to read it. “I’m not trying to slow the process down, but don’t I have a right to read this stuff?” Thompson asked. Rep. Todd Hunter, R-Corpus Christi, urged his fellow committee members to vote for the bill just to keep it moving and not let it die. He said there are many things in it that still bother him. The bill in question is SB14, which was approved by the Senate on April 30, but which has been revised since then. One hopes everyone will have the time to read the bill before it gets voted on again, not that this has ever been a requirement for getting stuff passed; if it were, we might never have heard the words “Trans Texas Corridor”. One also hopes that this bill will be given priority over clearly less-important things like voter ID. Finally, one hopes that this is the only thing that’s on Governor Perry’s list of reasons for which to call a special session, and not just the cudgel of the day. I don’t want the Lege to come back this summer any more than they do. If you live near the coast, get ready to pay more for windstorm insurance. Coastal residents insured by the state windstorm fund could see increases of 5 percent per year for the next three years under a bill passed Thursday by the Senate. The vote to send the bill to the House was 27-4. One senator who voted against it said the rate increases are still too much for residents rebuilding from Hurricane Ike. “I was very concerned about the impact the bill would have on the coastal communities. They’ve been hit hard and many are struggling to recover,” said Sen. Joan Huffman, R-Houston. 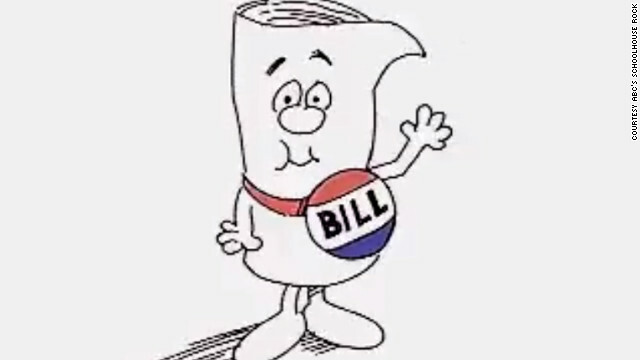 But the bill author, Sen. Troy Fraser, R-Horseshoe Bay, said the Legislature has to do something to build up the Texas Windstorm Insurance Association, which was depleted by Hurricanes Ike and Dolly last year. “Currently, TWIA has $68 billion in coverage written along the entire Texas coast and there is zero money in the reserve fund. This exposure is rapidly expanding as more residents and businesses seek windstorm coverage from TWIA,” Fraser said. TWIA provides coverage to homeowners and businesses in 14 coastal counties and a part of Harris County who can’t find it elsewhere. I can appreciate Sen. Huffman’s concern, but I can also imagine how her vote might have gone had this not directly affected her constituents. I mean, it’s ultimately the taxpayers who are subsidizing the TWIA. Shouldn’t those who choose to live along the coast pay a bigger share of that cost? All a matter of perspective, I suppose. Burkablog and Postcards have more.